Last week, we took a look at the 8-minute TNG-era fan film from 2013, STAR TREK: DECEPTION. Written and directed by British fan filmmaker LEO TIERNEY, the entire production was completed—including time for pre- and post-production—in under six months using about $1,500 donated by supporters in an early Kickstarter. 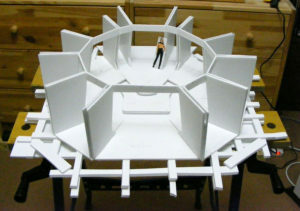 After completing the production, Leo later commented that he would love to follow up on the story in a sequel to see how Starfleet deals with this hidden Klingon base. But for the next couple of years, there was no mention by Leo of any plans to do another fan fan film. During that time, Leo helped the fan series Star Trek: Intrepid with some of the VFX for one of their episodes (“Nemo Me Impune Lacessit” released in 2016). And it seems that collaboration led to Leo getting bitten by the fan film bug once again. I’m currently on the lookout for a large area of space to build a (roughly) full-size bridge, and I could use some help locating the perfect place. I’ve been keeping an eye out on places such as Gumtree for large garages or offices, but if anybody has any better ideas or locations please let me know! I would probably also need a hand when the set construction begins, which won’t be until sometime in the future, but if you’re handy with a hammer and/or own a large garage please let me know as well! Ohh, and here’s a quick mock up that I created for the bridge a while back, to get an idea of scale and positions, enjoy! 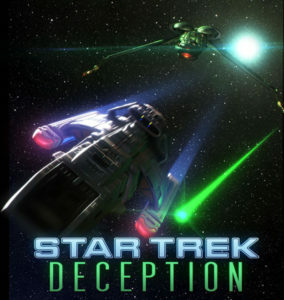 Back in 2013, LEO TIERNEY of the United Kingdom set out to make a Next Generation-era Star Trek fan film called STAR TREK: DECEPTION. Most live action fan films set in that time frame either record away teams in outdoor locations or else use green screen composited actors in front of virtual backgrounds…since creating practical sets in the 24th century style is incredibly challenging. 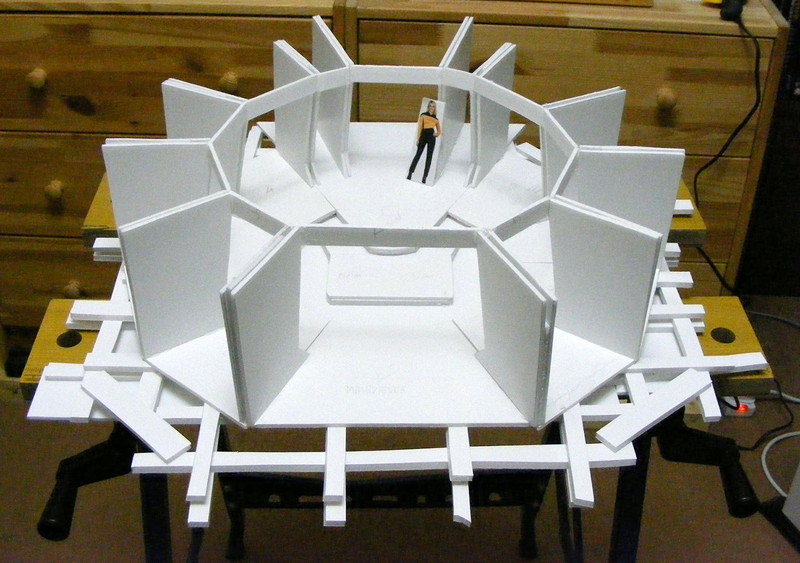 Leo, however, was up to the challenge of building a TNG-era set! He decided to design and construct an actual Starfleet runabout cockpit set in which to film his actors. He just needed a little bit of money to do it. How little? Well, considering what even the cheapest fan films cost, £500 (about $635 back then) was an amazingly small amount for what Leo was planning. Ultimately, after a month, his January 2013 Kickstarter took in a little over twice that amount: £1,174 (about $1,500). Then it was time to get to work…and so he did! But Leo didn’t simply build his sets. He also produced a series of behind-the-scenes videos for his donors, showing his progress. These brief production updates began on the day the Kickstarter ended, and Leo continued to release them like clockwork for the next three months leading to the May 17, 2013 release of his completed eight-minute fan film. I’d like you to experience that feeling of growing excitement that the donors felt those many years ago. 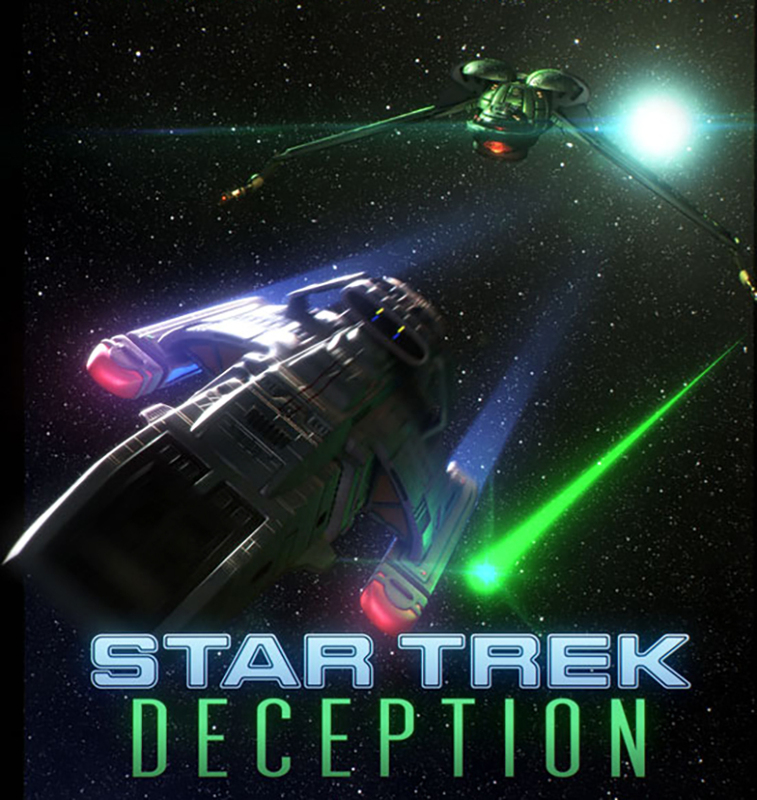 So I’m going to do something a little different for this blog and share those five behind-the-scenes videos with you, followed by Star Trek: Deception itself. Then I’ll include a few other special video features that Leo released after Deception was completed. It’s gonna be a fun blog!